Having cooked most of my life you would think I have a substantial cookbook collection. When in fact you would be surprised at how small it actually is. My cooking magazine collection on the other hand is large. Very large! My passion for food was fostered by cooking magazines back when I was a teen and was fundamental in my learning how to cook. To see full color photos of the dishes I was making was instrumental in my kitchen success in those early days. So when I was asked by Ricardo Cuisine to do a review on one of their recipes I was very excited to participate! If you haven’t checked out Ricardo magazine you must. It is gorgeous from cover to cover. After looking through the amazing array of recipes I decided to go with Grilled Lobster with Herbs. 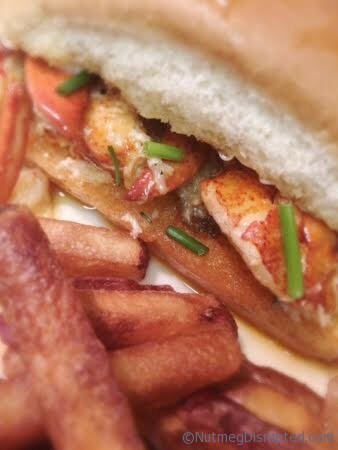 I love cooking with Lobster and knew I could have some fun with my take on it and turn it into a spectacular Grilled Lobster Roll with Herb Mayonnaise. To kill the lobster, place the tip of a sharp knife on the cross at the base of the head and cut in half. Cut the tail in half lengthwise. Remove the intestines and tomalley (the green stuff) and discard. Remove the gravel pouch in the head area. Repeat with the second lobster. Preheat the grill and lightly oil the grates. Combine all ingredients in a bowl, stir well to combine. Add all the ingredients, including salt and pepper. Baste the lobster with the butter and place on the grill with the cut side up. Place the lemon wedges on the upper rack of your grill. Close the lid and allow to cook for 8 minutes. 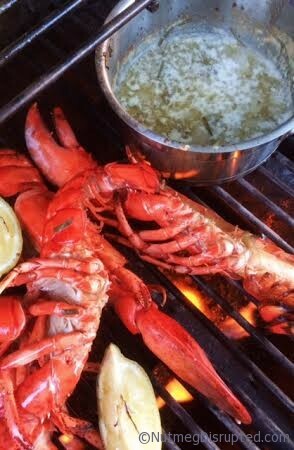 Once the lobster is almost done use a pastry brush and generously brush the rolls with the herb butter and place on the grill to toast. Remove the lobster, lemons and rolls to a platter. Remove the tail meat from the lobster, using lobster pliers crack open the claws to remove the meat and place into the pot of herb butter. Liberally spread the herb mayonnaise onto the toasted rolls. 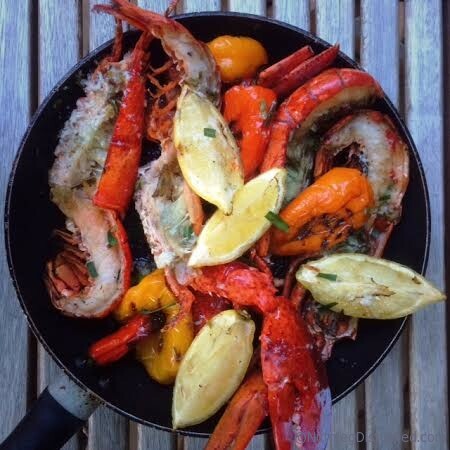 Fill with lobster and sprinkle with torn tarragon leaves. Drizzle with the grilled lemon. 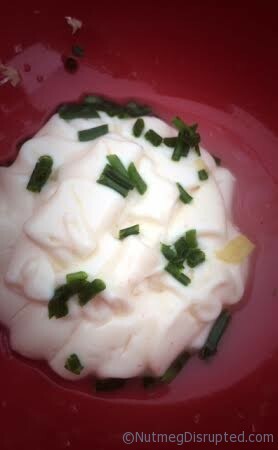 I changed some of the herbs and used butter in place of oil. And with the mayo it seemed natural to make a lobster roll. I loved everything about this recipe and look forward to making it again soon! Disclosure: I collaborate with brands/products that I’m passionate about and that are a good fit within the scope of what I blog about on Nutmeg Disrupted. Ricardo Cuisine is giving me a subscription to the magazine for the above recipe review. All opinions stated above are my own. It was fantastic! 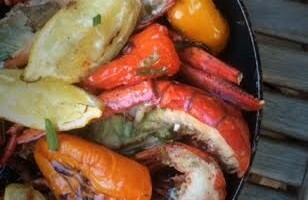 I love traditional lobster but grilling it is a really fabulous choice! Eating it on rolls seemed like the obvious choice and it was spectacular! OH man! I could kill to get one of those! Looks delicious! Wow congratulations on the colaboration with Ricard Magazine. I loved his cooking show and the magazine is fabulous with great inspirations. Your grilled lobster looks so enticing. I love the caramelization that goes on on the lobstetrics when grill, the sweetness and smokiness accenting each other. Well done! Looks so damn delicious Red. I’m drooling.